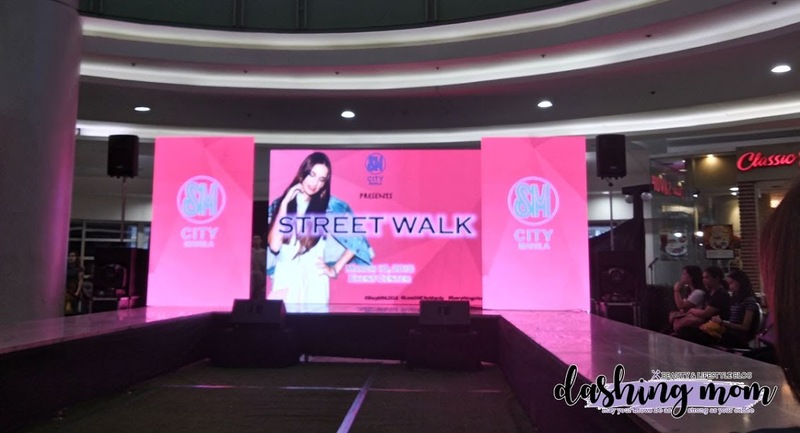 SM City Manila heat ups the floor with the latest trends in Women's and Summer collections with the following sponsors and partners. Here are some of my personal picks from the fashion show. Please do watch the video below to see all of the ensembles they prepared. A flowy and comfy sleeveless and maong pants are so in this summer. Levis also make some statement not just on their Denim products but also their tops. Seems like a Korean inspired outfit. GTW also takes the center stage to show their latest collection pure of pastels and florals. SM City Manila also prepared a Virtual Makeover booth that you can check if the clothes from the fashion show suits your body and to know the price of the clothes. To navigate it you just need to stand across the TV and swipe left or right to choose a clothing.